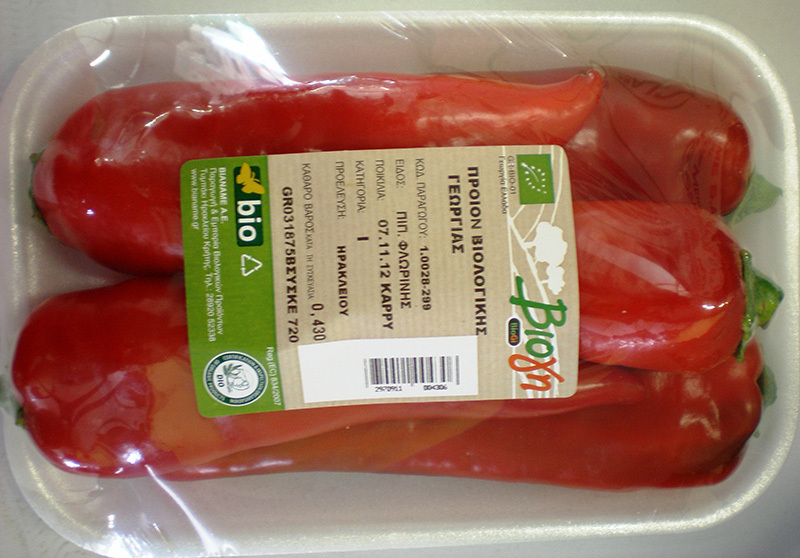 The red pepper is the fruit of the plant Capsicum annuum, belongs to the family of Solanaceae and is cultivated in many parts of Greece. 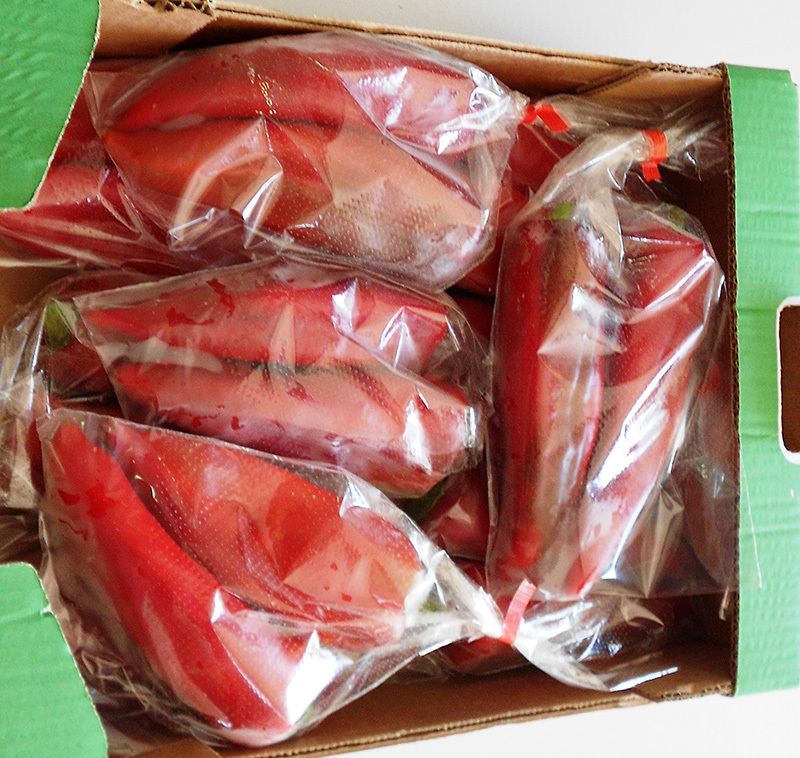 In Crete is mainly grown in greenhouses, has an excellent quality and is available all year round. 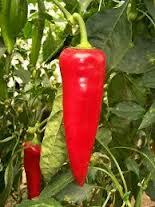 It is rich in antioxidants and especially in vitamin C.
Conical long shape, length 17 to 20 cm, sectional of 5 cm. 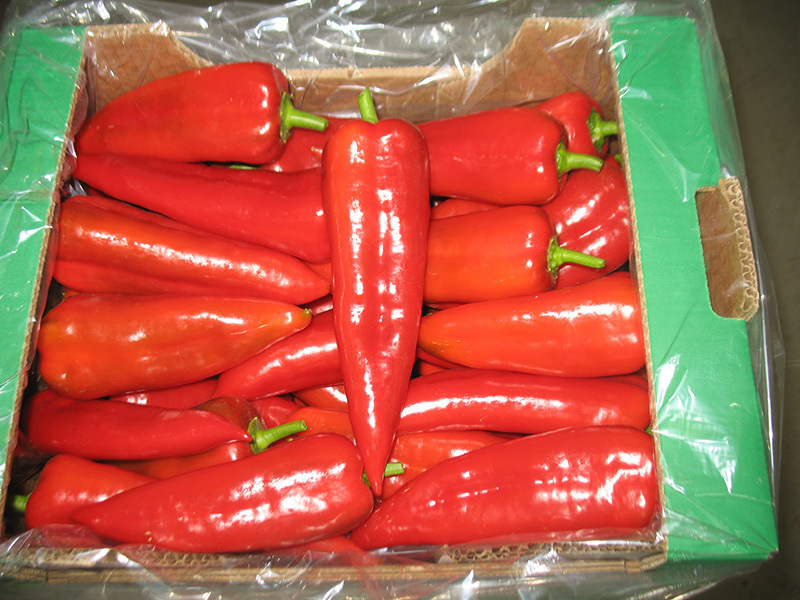 Sweet pepper with excellent taste and vivid red colour. Conical long shape, length 18 to 25 cm, sectional of 5 cm.